Fast Hire & Sales are authorsied dealer for Probst Handling and Laying Equipment offer for sale or hire the Probst Pallet Cart PW3. 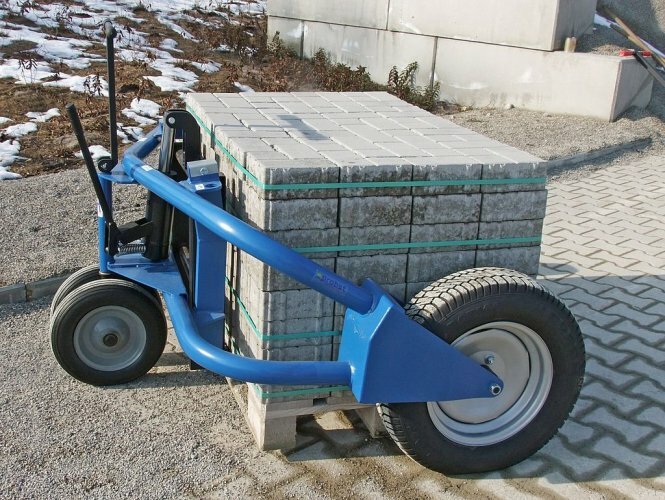 The Probst PW3 is designed for simple and effective transportation of palletized products on building sites. The PW3 features large rubber wheels for easy transportation. Lifting of pallets is done by using a hand pump and hydraulic cylinder. When transporting on an incline the Probst PW3 can be slowed down by the operator.